More than 40 brands, including some of the biggest consumer brands in Britain, have signed up for Sky’s new tailored advertising service Sky AdSmart, which has now launched following a successful six-month trial. Major household names using the service include Tesco, Royal Bank of Scotland, American Airlines and Audi. Brands including Citroen and Dial-A-Flight have also confirmed that they will be rolling out campaigns using the Sky AdSmart service over the course of the year. Available in more than a fifth of UK households, Sky AdSmart tailors what is shown in TV ad breaks according to a household’s profile and location. By enabling advertisers to target their campaigns more accurately, Sky AdSmart promises to increase the size of the TV advertising market by attracting new brands to advertising on TV. This includes local businesses who may have previously concluded advertising on TV wasn’t for them and brands that may have left TV advertising. Local advertisers who have signed up to use Sky AdSmart include insurance group First Central and the Hampshire car dealership Hendy Group. In total, one quarter of the brands that have signed up for Sky AdSmart are either new to TV advertising or had previously left the market. Those returning to TV advertising include Nestle’s confectionery brand Polo. To further support the growth of Sky AdSmart across Britain, Sky has also expanded its Sky AdSmart sales team, creating five new regional teams based in London, the South West, Midlands, North and Scotland. In total, 18 new jobs have been created. The teams will engage directly with advertisers to demonstrate the benefits that Sky AdSmart can bring to local businesses. 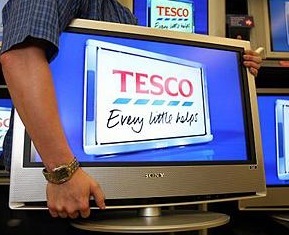 Sky AdSmart technology works by sending a library of adverts via satellite to the Sky+HD set-top box. It then selects the adverts which best match a household’s profile and inserts them into a live ad break. The line-up of adverts is based on a customer’s postcode alongside publically available demographic information from third-party providers including the data services company Experian. Sky contacted its TV customers by letter in 2011 to inform them of the benefits of Sky AdSmart and giving them the option to opt out of receiving the service. With Sky AdSmart, Sky customers see adverts that are more likely to be of interest to them and fewer that are not relevant. By opening up TV advertising to local advertisers, Sky AdSmart also allows customers to discover smaller, more local and less homogenous brands.